Thank you for visiting our website! We hope the information you find here helps define what is required when looking for a comprehensive IT Infrastructure Solution to meet your organisation’s needs. Rentwise is a provider of Green IT Infrastructure Services. By understanding our clients’ IT goals, we deliver products and services with a valued difference, at the same time, protecting our environment. As a trusted partner, we take care of your IT efficiencies to enable you to focus on your business aspirations. We are one of the few Malaysian grown Independent Lessors for IT Infrastructure. We have over 18 years experience in providing a holistic IT rental solution which today supports over 200 medium to large corporations across diverse industries both in Malaysia and Singapore. Our service locations in Malaysia include Kota Kinabalu and Kuching while the Northern, Southern and Eastern peninsular clients are serviced by a regional team operating out of our headquarters in Shah Alam. Being the only Green IT Partner in Malaysia offering a complete End-to-End IT Infrastructure and Asset Lifecycle Management solution, we constantly look for ways to improve and best deliver our vision. 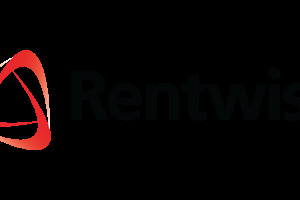 Rentwise is strongly rooted in three core strategic pillars. These are providing an infrastructure combination that meets a client’s IT needs (both new and remanufactured platforms), end-to-end IT services to manage and support this infrastructure and financing to ensure our clients are able to better manage and utilize their cash resources. “It is the use of equipment, not the ownership, that generates profit”, as the famous saying goes. Come discover the eventful journey Rentwise experienced throughout the years from our humble beginnings till today as the leading and trusted partner in Green IT Infrastructure Services. Get to know more about the essential corporate values that guide us in ensuring a continuous and consistent delivery of quality service to our customers from various industries.